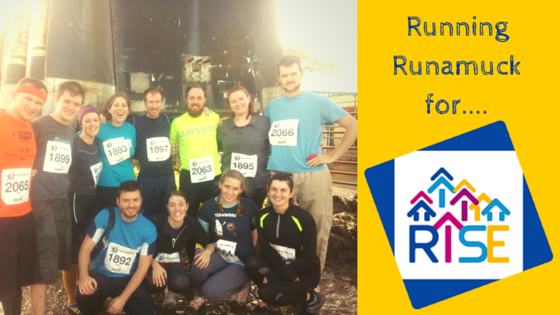 In just a few weeks, a dozen of us will be running through mud and obstacles in Runamuck to help raise support for our RISE Leadership and Mentoring Programme. Our RISE Leadership Programme began 4 years ago after seeing and hearing the hopelessness in Dublin teenagers’ lives. They voiced a lack of positive thinking about their communities, their feelings that nothing would ever change, and their trouble dreaming of a better future. RISE’s vision is to help equip young teens to become sources of hope in their communities. Hope for a future that is better than what exists now. Hope for not only their own futures but also, hope for those around them who they go to school with, live with, and call their neighbours. The programme challenges the young people to think about what it means to be a leader, what qualities make up a good leader, and if they themselves have some of these qualities. The programme then stretches them to look at their community, what they like and do not like about it. They then pick a community initiative to implement positive change. We have seen teenage boys make an anti-bullying video, transition year girls collect bags and bags of clothes for the homeless, a youth group wanting to better encourage those younger than them, and many many more amazingly inspiring projects. Programme in James Street CBS, a Ballymun youth group, Mount Carmel Secondary School, Mercy Secondary School, St. Catherine’s Church youth group, Ozanam House youth club, and Newpark Comprehensive School. We piloted the RISE Mentoring Programme this past spring in Mount Carmel Secondary School which went very well with great feedback from the mentees and mentors. We are excited to see how RISE continues to grow. To see it grow, watch this space for more information or email Anne at anne.baenziger@innovista.org with any questions. ← Will you join us in the mud at Runamuck 2015?